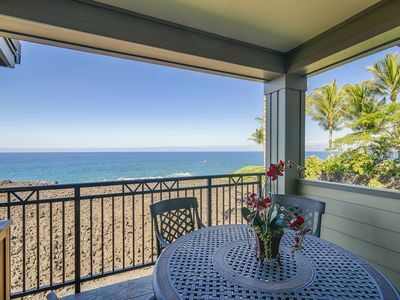 Beachfront/Views! 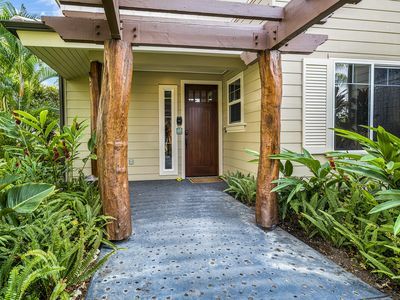 Kolea Villa 2D - Sleep 6-8, just 1.5 min walk to Beach Enter! Aloha, and welcome to "Ocean Breeze" one of our primier designer properties located on the ocean side of Kolea where peace and quiet abound. 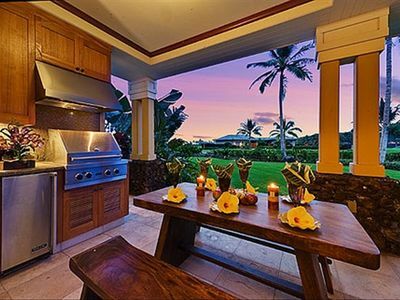 This Hawaiian Pacific Rim Fusion of comfort, luxury and style will bring you that 5 star experience you long for. 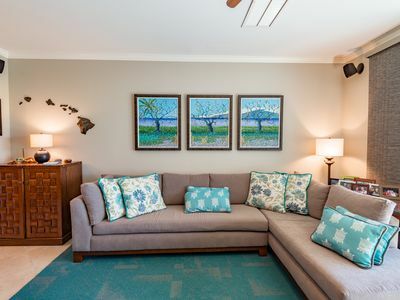 "Ocean Breeze" has its own unique personality bringing together art, sculpture and select antiques. Custom furnishings and water features that will will renew and refresh your spirit. 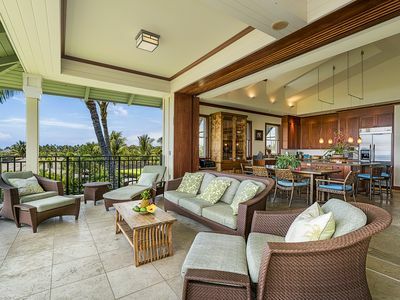 Just imagine yourself relaxing on the lanai amidst tropical gardens, expansive lawns, with the sweet sight and sound of the ocean just beyond! 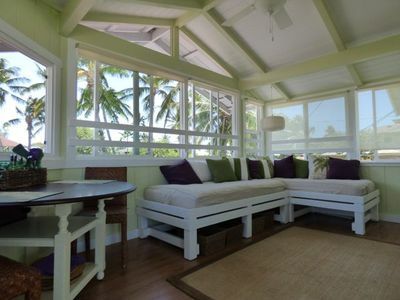 "Ocean Breeze" has 3 Bedroom Suites, each with a private spa-like bath. Master Suite I has a canopied bamboo king bed, elaborate bath featuring large soaking tub with separate shower, and French Door opening out to lanai. Bedroom Suite II has a king bed (can be converted into 2 twins), connected bath with tub/shower and French Door opening out to the lanai. Bedroom Suite III also has a king bed (can be converted into 2 twins), and private spa-like bath. 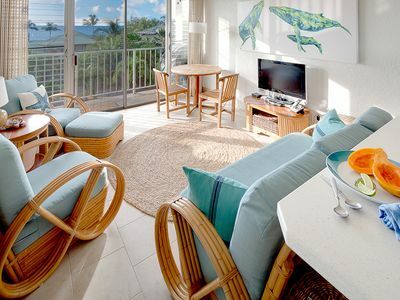 After a day of snorkeling, shopping or napping on the white sand beach with napping sea turtles, come home and relax while you sip a cool tropical drink. 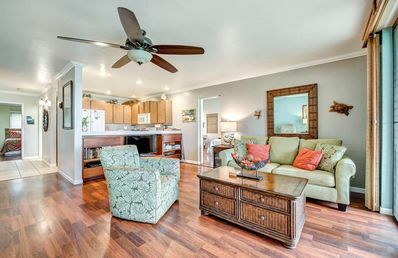 Prepare a light meal of local fresh fish in the fully equipped, koa wood lanai kitchen or lounge in comfort as you browse through the library of books on the "Big Island of Hawaii". You will fall in love with the timeless elegance of this tropical treasure you will come to know as "Ocean Breeze". 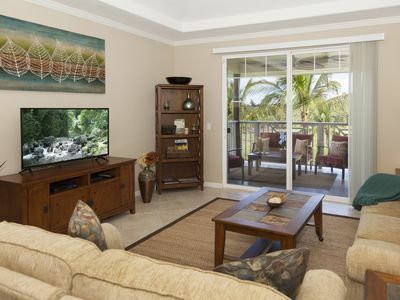 42" Flat Screen TV, HD Cable, DVD, IPOD Station, and Stereo in Great Room. TV, Cable, DVD - in each Bedroom Suite. 4 Telephones - one in Kitchen and 3 in each Bedroom Suite. Free Telephone Calls - Local and all of USA. Wireless High Speed Internet - with Printer, Fax and Copier. 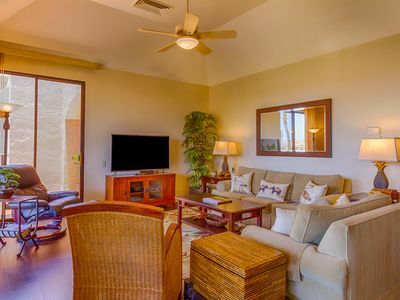 2 Zone Air- Conditioning, Tropical Custom Ceiling Fans - in Great Room and all Bedroom Suites. 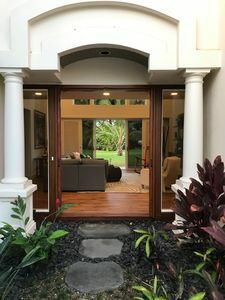 Custom Tropical Furniture, Designer Carpets and exotic Pacific Rim Antiques, Select Hawaiian Art, Bronze Sculpture, Sparkling Water Fountains and Accessories, Ralph Lauren Designer Metallic Paint through out. Custom Tropical Lighting featuring Alabaster Stone Pendent Lighting, Hand Selected Natural Peruvian Stone Floors flowing seamlessly out to Lanai’s. 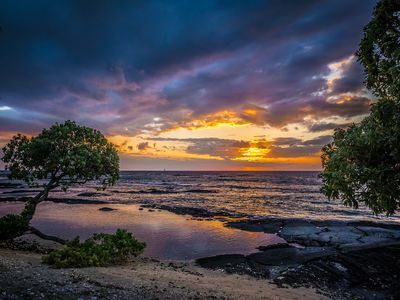 Library with books on nearly every subject on "The Big Island of Hawaii". 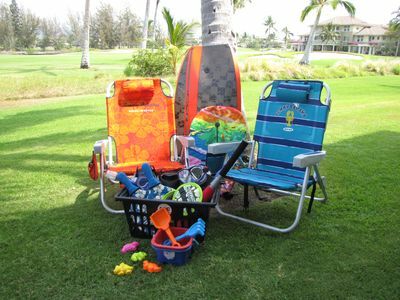 "Kohala Spa" Hawaiian Bath Products, Fresh Fruit, Flowers, Wine, and "Taste of the Tropics Basket"...Our Gifts to You! 100% Fresh Award Winning Kona Coffee. 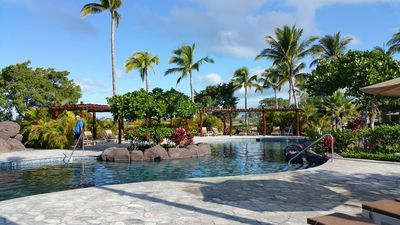 Kolea’s Exclusive Private Beach Club - with Infinity Edge Pool, Sand Bottom Pool, Hot Lava Spa, Exercise Pavilion all with perfect Ocean Views. 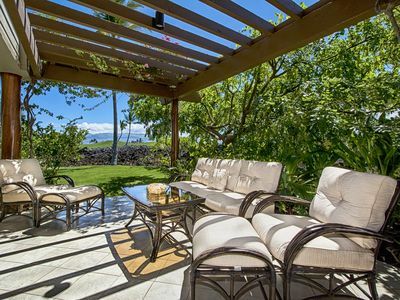 Direct Private Beach Access from Kolea. Short Walk to King’s and Queen's Shopping and Restaurants. 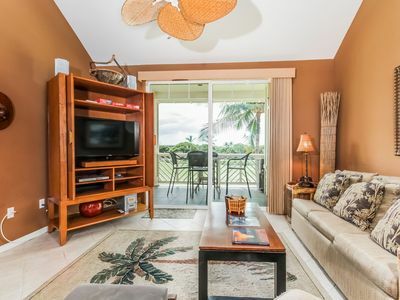 Updated 2 Bedroom Condo Walk to the Beach & Shops. 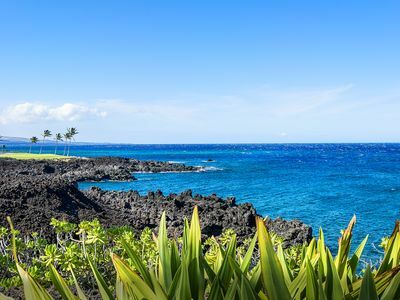 Puako Beach... Big Island, Hawaii! 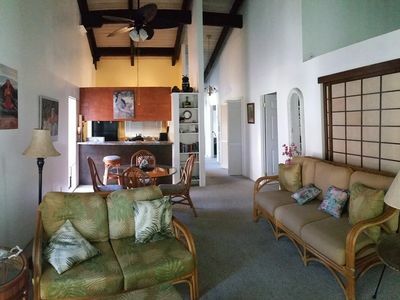 Spacious Villa, comforts of home. Corner villa providing privacy and comfort. 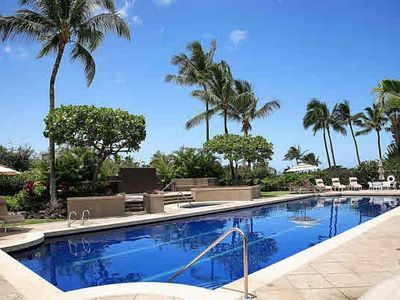 PUAKO OCEAN FRONT ~ 3 master suites with AC! 5C Paradise! 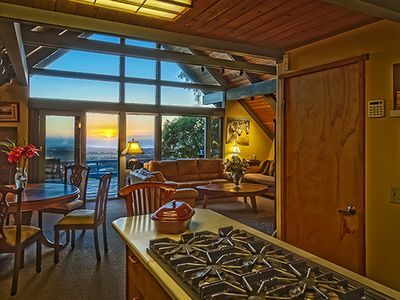 Resort Fee Included - Golf Course and small ocean view! 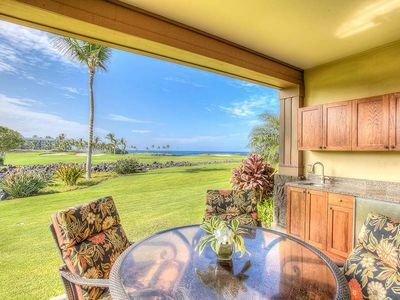 Hali'i Kai 12E Priceless ocean/golf/volcano views! Oceanfront Pool/Spa/Cafe/Gym!